Jody Gerson, CEO and Chairman of Universal Music Publishing Group, made history when she became boss of the major company on January 1, 2015. Since then, she’s been making bank. 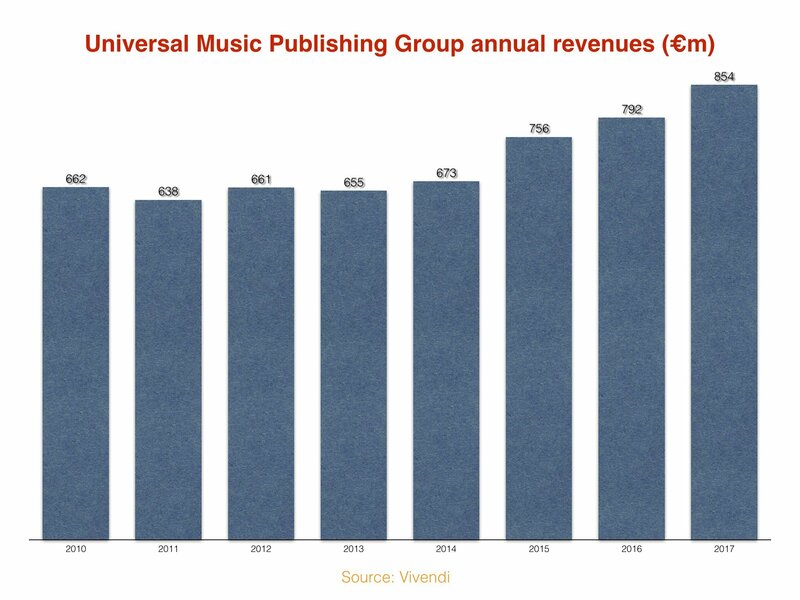 According to Vivendi’s recently-released annual results, UMPG’s annual turnover hit €854m ($965m) last year. 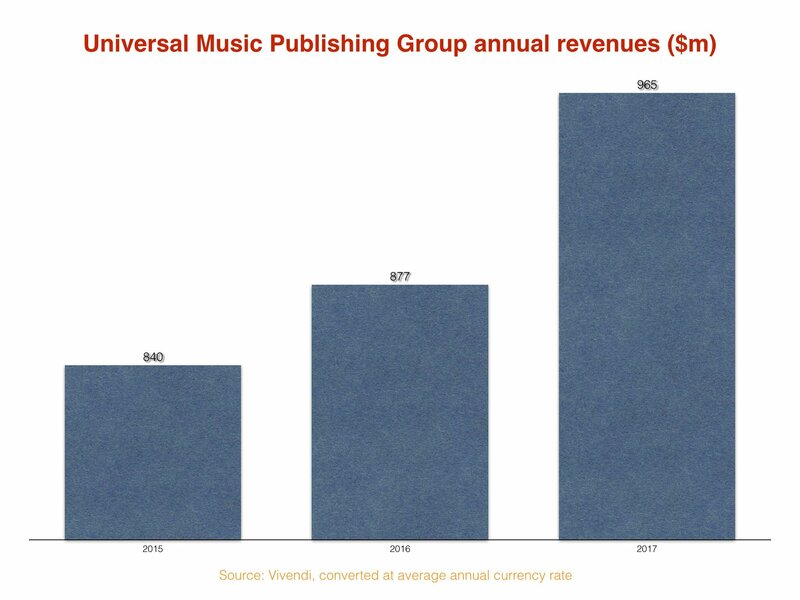 That was up 7.8% on the prior year (at the Euro level), and up 13% on Gerson’s first year in charge (2015), when revenues at UMPG reached €756m ($840m). Drilling down into Gerson’s tenure on a US$ constant currency level shows that 2017 saw UMPG get close to a billion dollars in revenue. That was up $88m on the prior year’s haul, and up by a full $125m on the revenue figure achieved in 2015.